Abundant with nature and spectacular scenery, Washington state is full of hidden gems for those looking for some fresh air and freedom. Known as the Evergreen State, it’s nestled against Canada in the far north-western corner of America. Even within the state’s bustling cities, like Seattle, Tacoma and Olympia, there are treasures to be found. So get ready to delve a little deeper into this stunning state. Overlooked by snowy mountain peaks and city skyscrapers, Puget Sound is at the heart of Washington state. Seattle and Olympia sit on its shores, with the former using the Sound to bring in trade from across the world – it’s the US’s fourth biggest port. But look beyond the container ships and you’ll find the Sound bursting with life. 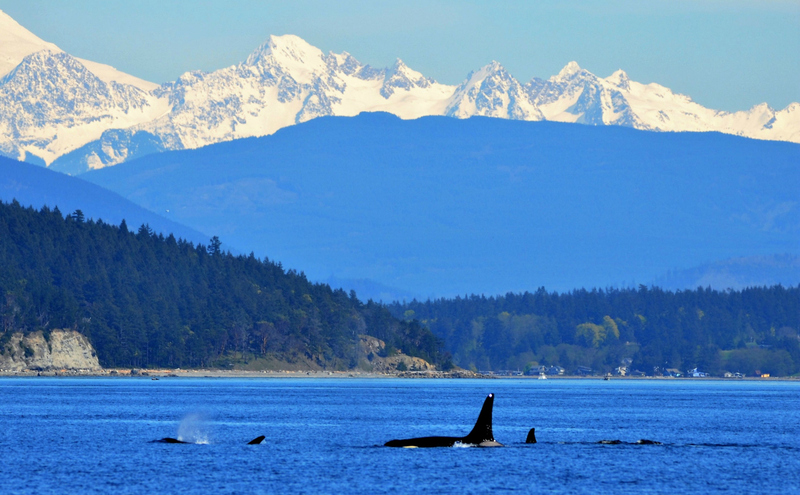 One of its biggest draws is whale and orca spotting. There are a handful of tour operators – spread around the Sound – to choose from, while the area also has salmon and trout native only to the Pacific Northwest area. If you prefer terra firma, Puget Sound is overlooked by the 14,410ft Mount Rainier. The National Park Service has up-to-date safety advice to guide you around this active volcano which boasts no fewer than six major rivers and is perfect for some hiking or camping adventures. If you really want to get away from it all, then head for the quietest place in the US: the One Square Inch of Silence in the Olympic National Park. 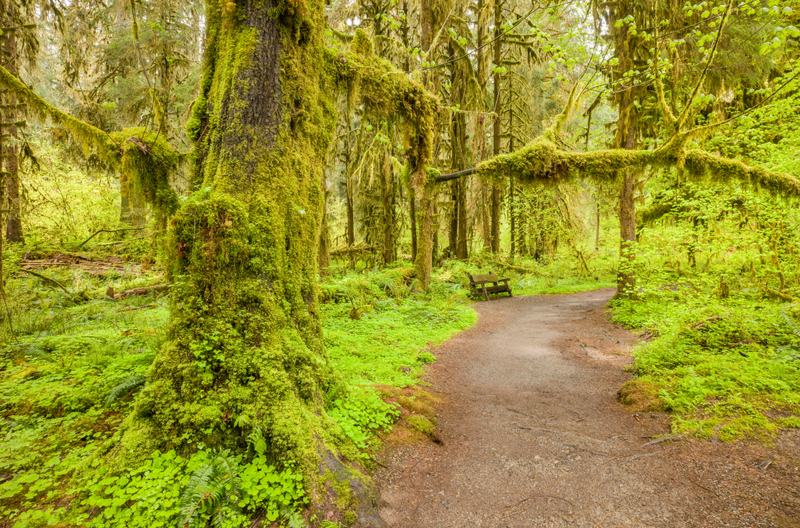 You’ll need to start your journey at the Hoh Rain Forest, a three-hour drive from Olympia. Once parked up, it’s a good two-hour hike – you’ll know you’re there when you come across a clearing with a log bearing a small, red stone. The space was created on the 22 April in 2005 for Earth Day, and if you have something to say you can add a comment to the Jar of Quiet Thoughts. Ever thought the ultimate treehouse was a dream? It really does exist, at Treehouse Point in Fall City, a 30-minute drive from Seattle. Opened in 2005 by Pete and Judy Nelson, this tree B&B has expanded from one treehouse to six, with names such as Trillium, The Burl and Temple of the Blue Moon. Each has their own character and whimsical charm, and – hidden among lush greenery in the crook of a river – they make for an ideal couples’ retreat (no pets or children under 13). 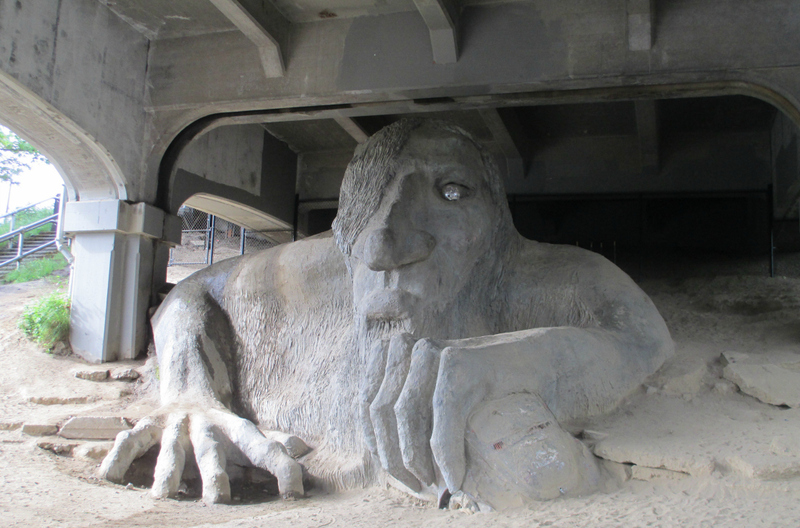 Below Seattle’s George Washington Memorial Bridge, keep an eye out for the enormous Fremont Troll. Found in the Fremont area of Seattle, this 18ft-high concrete troll was made as part of an Arts Council competition in 1990, and lurks in what was once a dark, dank and neglected underpass dumping ground. The four artists behind its creation say they were aiming to encapsulate not just the area’s unique vibe, but also to make a point about overdevelopment – the troll is clutching a real-life Volkswagen Beetle, encased in concrete. Climbing on the troll for that perfect snap is actively encouraged. Fans of cult TV series Twin Peaks will delight in a visit to Twede’s Café. What was once the Mar-T served as the inspiration and exterior set for the famous ‘Double R’ café in the original series, and the studio set was based on its interior. It later changed hands and a fire gutted its interior. Only recently, when Twin Peaks was triumphantly revived, was the interior once again refitted to director David Lynch’s specifications so filming could begin again. Pull up, grab a booth or a seat at the counter and order just what Agent Dale Cooper would – cherry pie and damn fine coffee. These unusual places off the beaten track are just a sample of Washington’s mix of country, sea and city. Car hire in Washington will let you stop off at these quirky locations and discover many more of your own, straying far from the cookie-cutter guidebook recommendations.